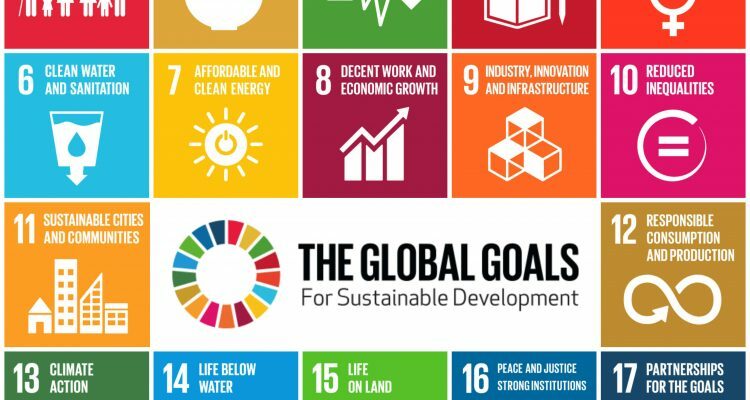 GoFundMe for the Sustainable Development Goals? It’s more feasible than you may think. A new study from the University of Oxford’s Saïd Business School says crowdfunding may be a viable strategy for financing the Sustainable Development Goals (SDGs). According to UN estimates, achieving the 17 highly ambitious global goals by 2030 will cost a hefty $5 trillion to $7 trillion a year – about $4 trillion of which is required in developing countries. Yet every year, we fall about $2.5 trillion short. With only 11 years left until 2030, experts are submitting a variety of suggestions. Some say we should increase trade and aid (official development assistance). Others point to blended finance, using public or philanthropic funding to increase private sector investment in sustainable development, and impact investing in businesses with the expectation of a positive social benefit as well as financial return. But the authors of this study say the UN should think like a startup and launch a crowdfunding platform, along the lines of Indiegogo or GoFundMe, specifically to raise money for projects that align with the SDGs. According to the report, crowdfunding has grown rapidly in the last few years and will continue to do so. In 2016, crowdfunding campaigns raised over $144 billion. Of that, $560 million were donations (as opposed to a loan, for shares in an entity or in exchange for a non-financial reward). Although global growth in crowdfunding was largely driven by China, the U.S. drives donation-based funding. In 2016, Asia-Pacific crowdfunded $103 billion, but of that, only $165 million were donations. Meanwhile, the Americas raised a third of that ($35 billion), but nearly twice as much in donations ($339 million). The report says that with estimates of global charitable giving at about $400 billion annually, the crowdfunding figures reveal great potential for a growing industry. The UN’s main SDG crowdfunding platform, DigitalGood, was launched in 2015 by the United Nations Development Programme. Its top fundraiser is Danish actor Nikolaj Coster-Waldau – best known for his role as Jaime Lannister in the hit HBO series Game of Thrones – who has raised just over $31,000 since July 2017. The second-highest campaign raised $11,000. A quick glance at the rest of the top fundraisers list shows the platform really hasn’t taken off. However, the study says that key changes could make an SDG crowdfunding platform a viable option for raising significant contributions. For example, the platform should track the contribution and progress toward SDG indicators. It should also primarily be for social entrepreneurs to develop social-innovation projects with opportunities for match-funding by corporations, foundations and governments. In a 2016 article for the Guardian, Blair Glencorse, executive director of the Accountability Lab, suggested that an SDG crowdfunding process should be led by those in the developing world. “Citizens could themselves suggest, design and monitor projects that would be of greatest benefit, submit these to an online platform for potential support and even pledge their own resources (financial or human) to back their ideas,” he wrote. Of course, a global crowdfunding process and resulting projects would require careful oversight and coordination, Glencorse notes, but existing models do, too. The SDGs have often been criticized for being too broad and too complex. But the authors of the report argue that it can actually provide an excellent framework that channels the generosity of people around the world into 17 critical priorities. What's Next for the World Bank After Jim Yong Kim's Sudden Resignation? PODCAST: How Much Progress Are We Making Towards the Sustainable Development Goals? It's been three years since the world agreed on the Sustainable Development Goals. So how are we doing?